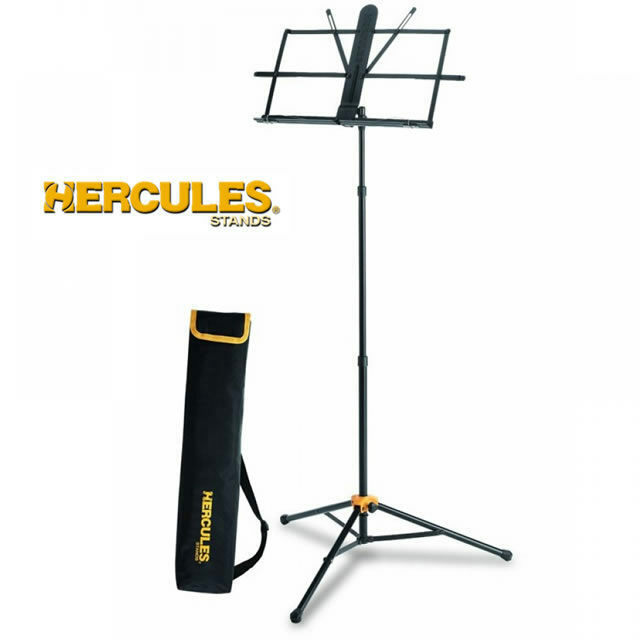 The HERCULES Music Stand BS118BB features the EZ Grip one-handed height adjustment. This three-section stand is ideal for musicians whether they prefer sitting or standing while they play. Includes a handy carry bag. The Quick-N-EZ Height Adjustment Grip for one-handed adjustments (53 cm -123 cm). The EZ Angle Roller with special frictioning rubber holds the desk at the desired angle.